A beautiful, rare Nephrite Jade tumbled gemstones. Photo is to show natural variation, as you get one of these highly polished gems. Each one measures approx. 20x15mm. 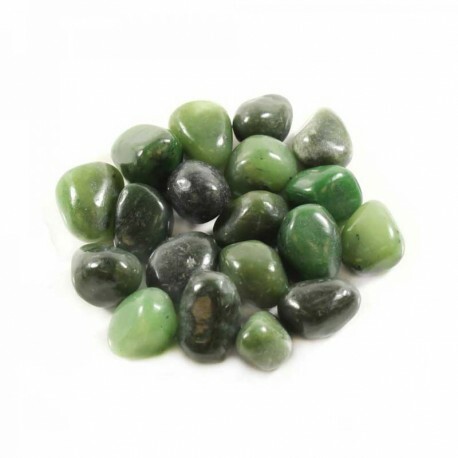 Nephrite jade is a type of jade which is considered to be good for emotional balance and stability.